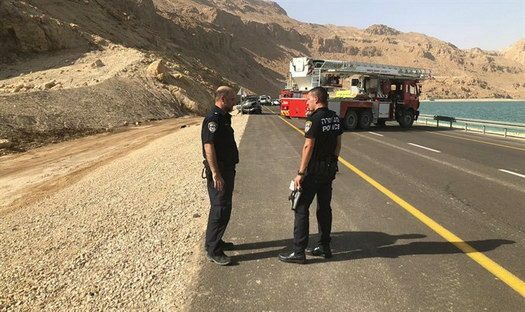 Eight people were killed and three more injured Tuesday afternoon in a traffic accident near the Dead Sea in southern Israel. 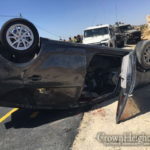 The accident occurred on Route 90 between the Ein Gedi park and the Dead Sea, when two vehicles crashed into each other in a head-on collision. Of the eight people killed in the accident, six were children, and two were adults. According to a report by MDA emergency services, aside from the eight fatalities, two others are in moderate condition, and a third was lightly injured. 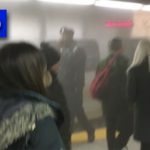 The two moderately injured victims are woman approximately 42 years of age, and a 12-year-old girl. 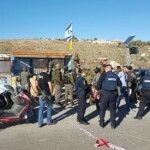 The two suffered injuries to their heads and limbs, and were treated on the scene before being evacuated to Soroka Medical Center in Beer Sheva for treatment. The third injured victim, a man in his 50s who is believed to be the driver, was lightly injured. One of the two vehicles involved in the accident went up in flames, MDA said. At least five people, including three children, were trapped inside the burning vehicle. Fire and rescue teams recovered the victims from the vehicle. The driver of one car was reported texting on his cellphone, and went into the other car.. when will this addiction to the telephones stop? exactly how many more korbanos do we need to bring this point home?? ?